How do we go about describing the clothing our characters are wearing? How do we use that to add depth to our story? What are the common mistakes that writers make when they start dressing their characters? Rebecca McKinney joined us on stage at LTUE to address all this. Due to I am not good at visuals, reading nor writing them, I went into this episode with trepidation. I am so glad now that I listened to it! Mrs McKinney was so bang on about fabric, social standing, and clothing structural requirements IRL. So many of these things, I had just never noticed before, in the difference between characters and stories I really enjoyed vs the ones that left me feeling… Something was missing/wrong. Now I know one more thing to add to my own writing, even though I have no idea how to describe silk vs cotton shirts, because I’m not a visual person, but I do grasp social cues and subtle things the clothing we wear can tell others about us or our characters. Thank you for this episode probably more than any other I’ve heard in the last three years. One, I love that you all had an episode on fashion! Two, I agree with almost everything Rebecca McKinney talked about. 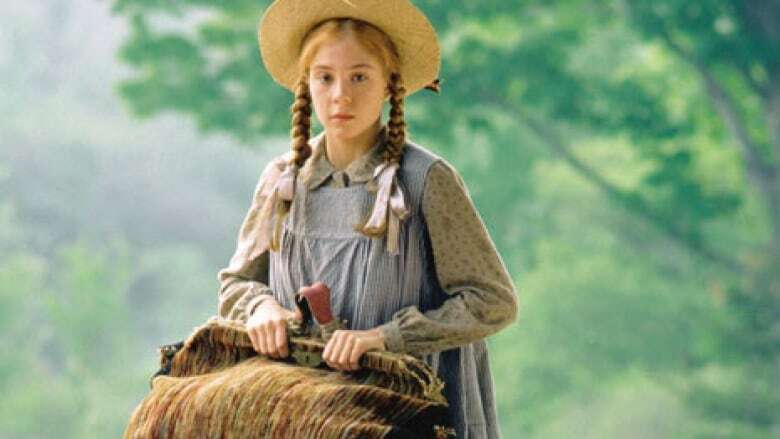 The disagreement is her Anne of Green Gables comments. When Anne was talking about puffy sleeves, they were puffy!! So there was a difference between tucked for ease of movement vs. excessive use of fabric for display. 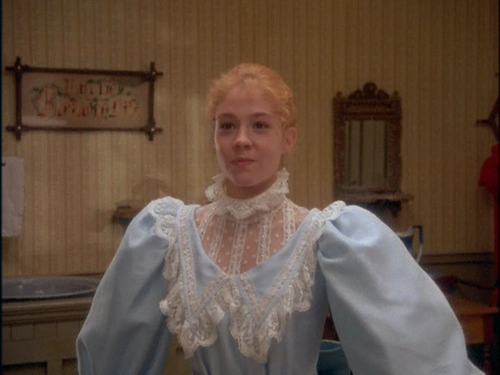 Anne in her “puffy” sleeves. Other puffy sleeve designs from the period. I’ve always loved the scene in Well of Ascension when Vin meets Adrienne Cett for the first time and is like “What is this pink thing?” because of how loud her dress is. I went to Audible from the link, then discovered Dan’s John Cleaver 5, _Over Your Dead Body_, has been out from May 3rd. There’s a six day old John Cleaver book I haven’t yet started? Now I have to buy more audible credits, since I cannot wait for the monthly refresh to read both fresh Dan Wells books. I get that we don’t want to go on about something that isn’t important. But at the same time, I still have to tell a reader what a character looks like. How much is enough when clothing has a primarily descriptive role? I struggle with how much space to give to the clothing (secondary importance) on a central character (very important)? I think it’s important to acknowledge who is noticing it. I will naturally give more detail in describing clothing then my husband. While you may have a strong idea of it in your head, if your character would never notice it had a lettuce leaf edge maybe that specific of a detail should go in it. In the end it’s your book and your story. Hit the key points that both say something about the person noticing it as well as the wearer. It depends on the POV character; would they notice such things? How important are the details for the story? A passing character would need only a brief brush stroke. While a character that needs to dig through pockets, lift a hem, or reach into a jacket would need more detail. When you see someone walk past wearing a Brooks Brothers suit, what do you think? Puut the same person in a set of biker’s leathers, with a bandanna tied around his head, and what do you think? How about wearing tights and a cape? Excellent point about cotton vs. linen in a secondary world modeled chiefly after medieval Europe. While fantasy writers are free to invent their own fashions, the choice of fabric to use does depend on the climate, since some plants do not grow in colder lands. Hi. I really enjoyed this episode. I’m in the midst of planning a science fiction short story and thought of a question that was not answered. The story, like star wars, is set in a universe where there is no planet earth. What I would like to know is that can I refer to a character wearing a kimono, or a poncho or a bowler hat and leave it at that, with out having to give a blow by blow description of how it looks? Yes, it’s fine to use Earthly diction to help the reader identify familiar items and concepts. It’s the same principle as calling an alien deity “God” even though “God” is domestic, Earth vocabulary. Using umbrella terms works best unless you specifically intend to provoke imagery of a certain culture. Try to avoid culturally-specific names like ‘Poncho’ and ‘Kimono’ unless your fantasy culture resembles them, otherwise it might feel like an anachronism. “Poncho” is a very geographic term specific to the Americas (Mexico in particular). If you want to avoid that, you can refer to the poncho by a cultural name variant, like “Gaban” or “Chamanto” for example, or describe it without specifically naming it: ‘A deerskin blanket-cloak’ for a Navajo Indian poncho or a ‘buckled plaid shawl’ for a Scottish woman’s poncho that closes in front with a buckle. Etc. Think about what it looks like, what it evokes, and what it needs to evoke for your character. Does your character see someone dressed in a fancy dress? Description might not matter at all. Does your character see someone dressed in the traditional clothing of the warrior (or diplomat, or scientist) nation of X? Someone moving with surprising ease in the tight broad-sashed wrapped silk dress with long sleeves? If your story has no Earth, obviously it can’t have a kimono, but it could have something that evokes what you want to evoke with a kimono. Just be wary – it’s easy to reveal your own stereotypes and prejudices when you borrow directly from real cultures into your sci-fi story, and the more details you map to a specific culture, the more you want to know what you’re doing. Great content to this episode. I often don’t even describe my characters’ dress, but using it to show different aspects sounds pretty cool! I’ve started writing my own transcripts of these episodes on wxat.tumblr.com, with embedded links and images and videos related to the things being discussed. I’m a writer and a garment sewer, so I was very excited to see this episode pop up! I have one point to nitpick, and then some thoughts. Technically, it IS possible to have sleeves without puff (or “ease” as it’s called in sewing parlance). One of my favorite independent pattern makers has a popular shirt/tunic that has a sleeve with zero puff/ease, and I’ve sewn and worn several versions with no problems (you WILL get drag lines on the front of the sleeve though, which is why most patterns have a little bit of ease/puff built into them). Great point about how new technologies will change the way clothes are worn/used, what the rich will/won’t wear. Another way the rich differentiate themselves via clothing is color (think softer/more muted colors versus harsh/garish colors), as certain dyes and techniques are harder to work with, more expensive, etc. Also, they will often be able to immediately look at somebody’s outfit and gauge its quality, whereas if you’re coming from a less affluent background you likely won’t have the eye to differentiate–which again goes to characterization, would my character think this?, etc. I also think clothing-related characterization is a great place to marry description with action or characterization. If a character is nervous, have them fiddle with their shirt hem (what fabric, what color, what cut – any of those will offer characterization). If they’re itching to get started on something, what kinds of sleeves are they rolling up or what kind of jacket do they take off? Likewise, clothing can reflect what’s valued/scarce vs. abundant in society – right now, the # hours that go into couture clothing make it a valued commodity (to the point about red carpet gowns), but maybe in your world it’s dragon tusk fibers (and why??) or just the fiber itself (1940’s womens fashion, for example, had a lot more pencil skirts because those require less fabric than the bias-cut dresses of the 1930’s or the full-skirted fashions of the 1950’s because, hey, World War II and fabric rations!). All right, inner sewing/writer geek satisfied. Thanks for continuing to post interviews on a huge range of topics! Great episode! The amount of work to craft great clothing descriptions sounds a little daunting, but I know it can be done.